Nested in the mountains of Mc Leod Ganj, our location overlooks the Dalai Lama temple. Our rooms are designed to let in light, air, and the sounds of nature. A restful stay with breathtaking views from your private balcony and many peaceful sleeps are promised. Our laundry service and in-room dining ensures you have all the conveniences at your doorstep. When not in your room, you can engage your palette in our international ayurvedic menu, read in our library, make new friends with fellow travellers, or take a yoga class. 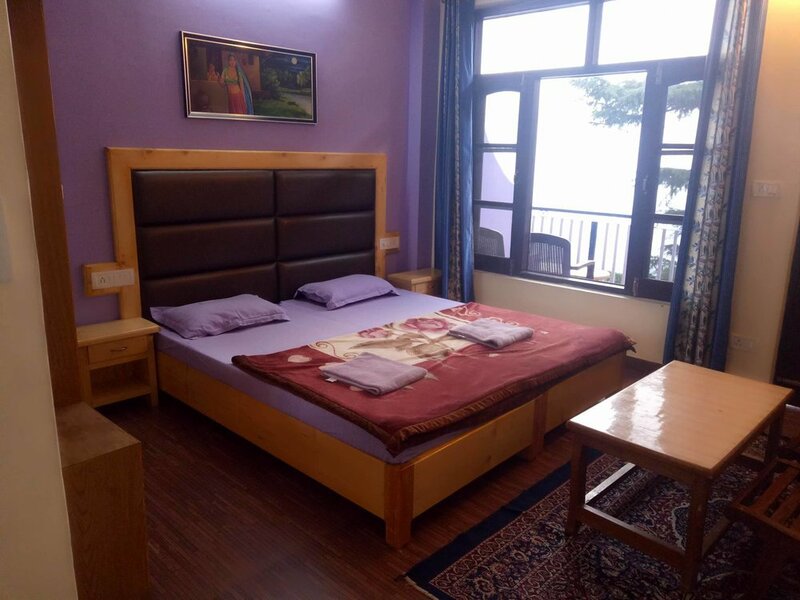 The Studio comes fully equipped with a comfortable bed, bed side furniture, a dresser, a lounge area, a kitchenette (with utensils and all), a private balcony, and a private bathroom. The Deluxe Suite features a comfortable bed, bed side furniture, a dresser, a lounge area, your own private balcony, and a private bathroom. Buddha art work adorns the walls. A comfortable bed, bed side furniture, a dresser, your own private balcony, and a private bathroom make The Budget Room suitable for the traveller on the go.